A reliable product and smart investment. Trina Solar’s TALLMAX modules enable commercial and utility-scale solar projects to realize significant system savings. As a vertically integrated company, Trina Solar controls the quality for our PV systems across the entire supply chain, mitigating risk and boosting ROI. Trina Solar was the first PV company to be awarded UL’s Client Test Data Program Certification, allowing us to test and issue UL-recognized quality standards. The TALLMAX M PLUS modules are one of the industries most trusted products for ground-mount and commercial/industrial rooftop installations. Also available with an industry-leading 1500V UL/IEC, the TALLMAX M PLUS modules are the industry standard for commercial, industrial and utility scale installations. The advanced monocrystalline technology enables a more uniform, aesthetically pleasing look. TALLMAX, TALLMAX M PLUS and TALLMAX 1500V modules are recognized by industry professionals for their proven historical performance in the field and high manufactured quality. Their industry leading quality and reliability is assured by Trina's rigorous in-house testing program that includes over 30 tests, and goes well beyond the requirements of reputed industry standard certification bodies. Your solar project is an investment that will span decades. At Trina Solar, we offer an industry-leading Limited Manufacturer’s Warranty for 25 years on a linear degradation schedule. Bloomberg New Energy Finance ranked Trina Solar as one of the world’s most bankable solar panel manufacturers, recognizing our reliability as a sound investment partner. From simple beginnings in China, Trina Solar now has a global footprint in more than 30 countries, with offices throughout the world. 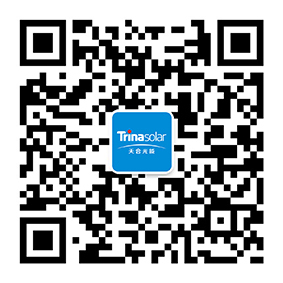 Trina Solar half-cut modules are developed by replacing the full cell with half-cut cell technology and are available in both poly- and monocrystalline. Two pieces of half cells are connected in series; the power loss caused by ribbon resistance is reduced to 1/4 of that in full cell. The special cell string design makes each cell string can work independently which can significantly reduce the energy loss due to the mismatch problem which may be caused by shading between modules.